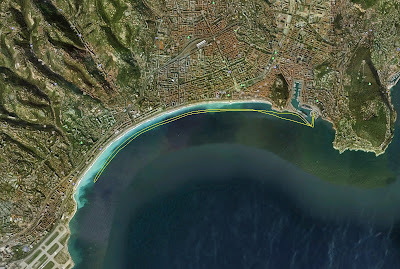 SUP session in the "baie des anges", in Nice, south of France. This was an 11 km training. Mix of fast and slow path sections. No wind at first. The way back was downwind witch made it easy. Saw the school of bonitos ? Went threw a few groups of them hunting small enchovies. Technic and balance are getting better, but still need to fine tune. Will soon start mixing SUP and freediving.